Mi Familia Vota was awarded four Reed Awards, including “Grassroots Organization of the Year.” The Reed Awards are the “Oscars” of political campaigns; they embody excellence in political campaign work. This administration has orchestrated continued attacks on immigrants from all backgrounds, including those who are eligible and eager to become citizens. Our organization will continue to support eligible immigrants to apply for citizenship as soon as possible. Local organizations MFV are prepared to help new Americans navigate through the application process. President Trump is defrauding the American people with this emergency declaration over a sham border threat to obtain funding for a wall that our country does not need or want. The emergency declaration directly defies Congress, despite the significant amount of money they conceded for a border barrier. We are gravely disappointed that Democrat and Republican members of the House and Senate would negotiate such a calamitous bill. It reflects a complete disregard for the immigrant community and for American values. Members of this committee have negotiated on the false narrative of a border emergency constructed by President Trump; we urge Congress to reject this bill. Latinos comprise almost one third of our state so we anticipate that the Family Act will have a positive impact in our community and in the state at large. The Family And Medical Insurance Leave (FAMILY) Act, Sponsored by Rep. Rosa DeLauro (D-Conn.) and Sen. Kirsten Gillibrand (D-N.Y.), was re-introduced today corresponding with the 26th anniversary of the FMLA. The Family Act provides up to 12 weeks of paid leave (partial income) for serious personal or family needs. MFV Commends California Governor for Reassigning National Guard Troops Stationed along the Border. California Governor Gavin Newsom announced that he would withdraw National Guard troops from the U.S.-Mexico border, reassigning them to drug enforcement and wildfire suppression missions. 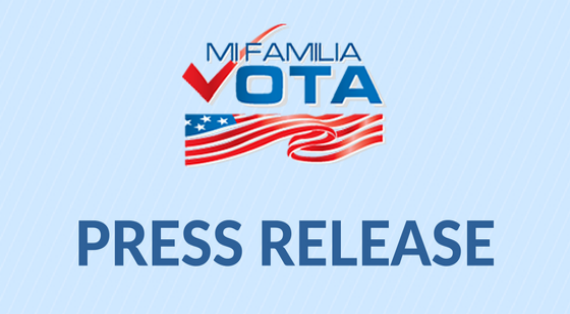 Mi Familia Vota applauds the leadership displayed by Governor Lujan Grisham. President Trump has falsely portrayed a border in crisis causing both Democrats and Republicans to shift their focus to entertaining additional border defense measures for political objectives, even though the U.S.-Mexico border is already secure. President Trump delivered the 2019 State of the Union Address following a government shutdown that lasted 35 days.